This post is from our Alumni Spotlight series, featuring stories and reflections from past Summer of Solutions participants. The 2013 Summer of Solutions programs are now accepting participant applications! Apply here! Hi All! I’m Emily Stiever, a native of Minnetonka, MN. 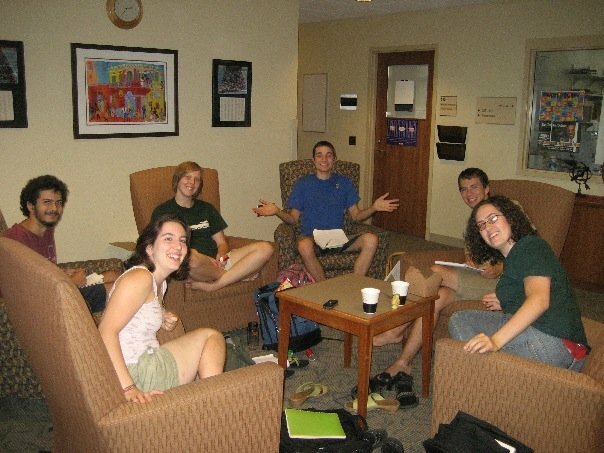 I was part of the inaugural batch of Solutionaries at Macalester during the summer of 2008. As I think back now, it’s difficult to remember exactly how I stumbled across the awesome group of people that morphed into Summer of Solutions (SoS). 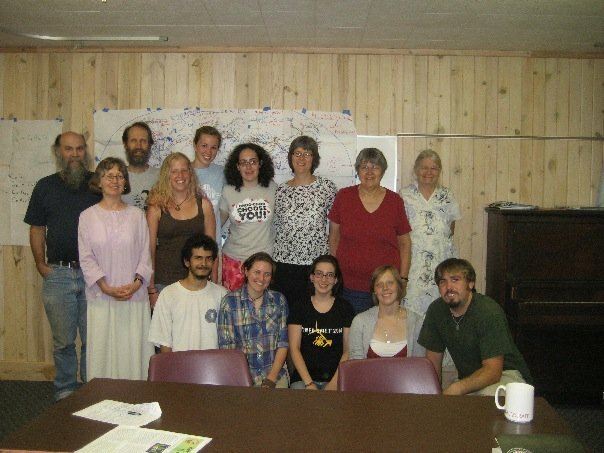 I think I had just come back from studying abroad in Nicaragua and I heard about the first January Gathering (in 2008). I have a vague recollection of showing up for a meeting at Macaleter’s Eco House over winter break and (since I got the time wrong) everyone was still sleeping. But once we got going, the January Gathering was really interesting and I was on board for spending the summer at Macalester and working on a number of the projects we’d dreamed up. One of my favorite experiences was riding back from a meeting at the Ford plant one evening. We’d just come from having a great discussion about ARISE (The Alliance to Re-Industrialize for a Sustainable Economy), “a coalition of local stakeholders, advocacy groups, and students seeking to create a sustainable redevelopment plan for the closed Ford factory in Highland Park, St. Paul.” (The Twin Cities SoS program will once again be working with ARISE this summer!) 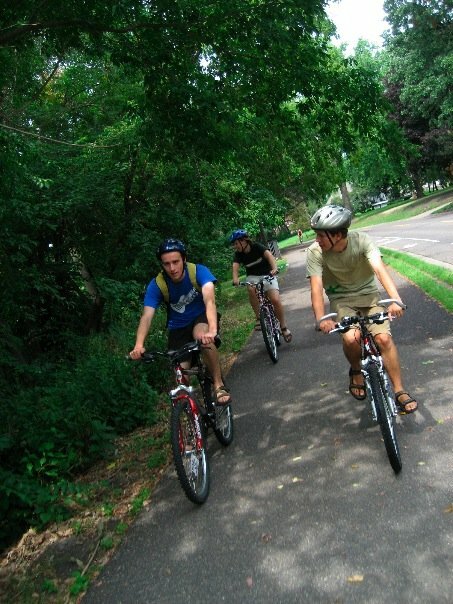 It was warm, and we all biked quietly home along the river trail on the Mississippi. It was one of the first times where I could see what my life could look like in the future: the ability to work on social issues that I cared about and to live sustainably in community with people who shared a similar passion. SoS helped me translate a general feeling of, “it would be cool to work on these issues at some point in my life” to a much more tangible, “this is how my life could look now.” The experience helped me clarify what I am looking for, both in my professional life and how I want to live personally, and has guided me as I’ve sought out living arrangements and jobs in recent years. The other big take-away from my experience with SoS was the need to ground my activism and social justice work in extensive background knowledge about the issues. Throughout my summer in SoS, I learned a lot about climate change and renewable energy. Timothy, one of the program leaders, taught an ExCo (Experimental Community Education) class on climate, we met with multiple speakers, got into the nitty-gritty details of how to implement an energy efficiency program with Cooperative Energy Futures, and I borrowed a couple of great books from others in the program. I learned a lot of information that summer and I am surprised even now how often I use that technical and philosophical information even today. I think really understanding the issues you’re working on is incredibly important because we can’t design real solutions to environmental problems if the solutions aren’t grounded in reality. Sure, it’s easy to paint with a broad brush and declare that all major cities should source 20% of their power from solar panels, but how do you actually make that happen on a tangible, implementation level? You need to understand how solar works, the types of market barriers that exist in that part of the county, what policies are effective in breaking down those barriers, how people make decisions to install solar systems, and the kinds of programs that will actually be effective in helping people make the decision to go solar. You need to know the prices of the technology, understand how local installers operate, and what you can do in the short- and medium-term to improve the market. There will always be people who dream big and have great ideas for how to dramatically overhaul our energy, waste, or food systems, but what distinguishes the effective leaders is the ability to translate those ideas into real, tangible, systemic changes. SoS gave me tools to both understand our existing systems and develop approaches to start changing them. Right now I work as the Program Director for Community Power Network, a national organization that promotes community-based renewable energy. Our goal is to (1) connect groups around the country working on local energy projects, (2) share resources and help new groups get started, and (3) test new approaches for developing community-based renewables. My job is very hands-on (there are only two of us at the organization) and I am constantly learning about awesome new approaches that communities are using to implement renewable energy projects. My experiences in SoS definitely helped prepare me for this kind of work. For example, it taught me to always look for ways that groups can systematically improve their markets to allow for more renewables. Often, my job involves learning about a state’s solar market, for example, and then trying to identify key barriers to more projects within that market. Because I learned to think systematically, I am better able to find those patterns or the barriers that we need to address. Should you participate in an SoS program? Absolutely! Everyone’s experiences will be different and you have to be willing to put in the time and energy to make your involvement worthwhile. That means seeking out and taking on significant responsibility on a project, challenging how you think about issues, and being committed to living and working in a tight-knit community. But if you are open to learning new skills and being challenged, I think your experience will definitely be worthwhile and will help prepare you for a future of solutionary work! This entry was posted in Alumni Spotlights and tagged Alumni Spotlights, ARISE, Cooperative Energy Futures, twin cities by hinahara. Bookmark the permalink.